There are many lock types on the market and for some situations keyless locks are the most suitable. In others a key lock is best. So how do you know which to choose? Here I tell you the pros and cons of keyless and key locks and the most suitable uses for both. Keyless locks for doors do have significant advantages. 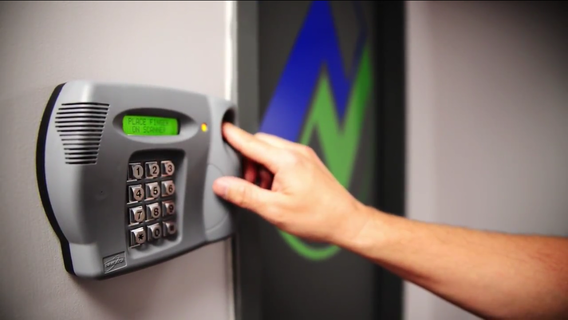 There are various types from keypad door locks to door locks that require a fob or a card. There is no need to carry and take care of a door key. Multiple users can use the lock without having to cut multiple keys. The code can be changed easily on a keyless front door. Multiple users of the entrance for example commercial. High risk of keys getting lost with multiple users. High risk of keys getting lost with an individual for example those with mental health issues. A need to be able to easily change the access. If you are considering keyless security locks for your doors we would be happy to assess the situation and give our professional recommendation on the ideal type of lock for your individual circumstances. Door locks with keys are more common than keyless door locks for residential properties and some commercial properties. The reason they are more common is that there are significant advantages to the traditional mechanical lock. A code can be shared and keys are more secure in that respect. Particularly if you choose high security keys which can’t be easily copied. Key locks can be more cost effective. A traditional lock can be more reliable. In our experience there is less that can go wrong with anything that is mechanical rather than electronic. Key locks can comply with insurance policy requirements whereas keyless locks don’t. Depending on the situation the advantages of the keyless lock may make it the right choice for you. The best way to determine which lock is the right one for you is to take advice from you local MLA approved locksmith who will talk you through all the options. It is something that must be considered carefully as the security if any property is key (pardon the pun!). It is really important that whichever type of lock that you choose you have insurance approved locks on all of you external doors. Without meeting this requirement of your insurance policy your insurer will not pay out in the event of a burglary. At present there are no keyless locks that meet the insurance requirement for external doors that we are aware of. They do however comply with graded safes. To find out exactly what an insurance approved lock is watch our no nonsense video about insurance approved locks. Once you have chosen the lock which is best for your needs you need to ensure that it is fitted correctly. An incorrect fitted lock can put your property at risk and can also invalidate you insurance policy. Read here before embarking on changing a door lock yourself. Should you need your lock changing we are available 24/7 and carry an extensive stock of lock types so that we can change locks quickly and efficiently? We are MLA approved and our prices are fixed, so no nasty surprises on completion of a job. Should you require a security survey we would be delighted to hear from you. We would welcome the opportunity to show you our range of Keyless and key locks. Please don’t hesitate contact us. If you’re not looking for something so big the turbolock is really modern looking and works great! Hi Thanks for your comment. I notice you are based in the US. We are UK based. Thanks for reading our post.